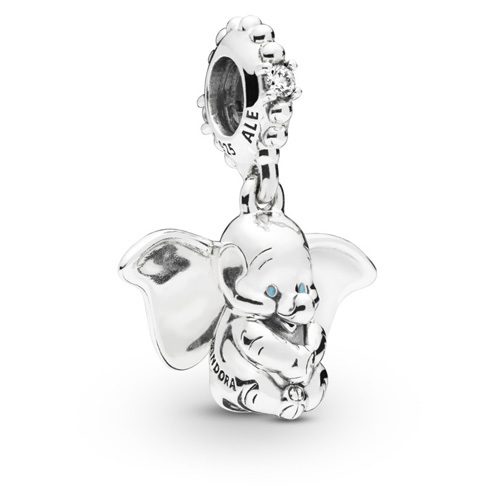 Embrace your natural talents with this Disney dangle. The sterling silver design is shaped as the lovable elephant Dumbo and detailed with sparkling blue stone eyes and flapping ears. Wear on bracelets or necklaces.